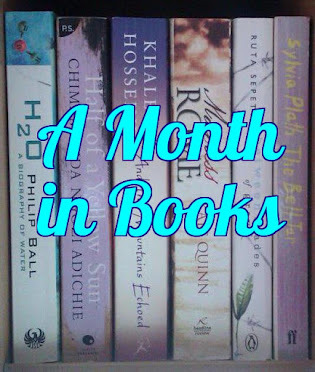 First published in the UK by Portobello Books in March 2015. One of my Essential General Election Reads 2017. Caroline Lucas is an outsider, inside, fighting for parliamentary reform and for the interests of her constituents. She is a politician with a radical mission and a clear vision of how change can be achieved. From the NHS to corporate tax evasion, from climate change to immigration, Honourable Friends? tells the story of 5 years in Westminster and offers bold and practical suggestions for a fairer British political system. It is a unique book by a unique politician and activist. Whether you support the Green Party or not (I do! ), Honourable Friends? is a fascinating read as it illuminates the wasteful and frankly ridiculously old-fashioned way business is done at Westminster. In this memoir of her first years as an MP, Lucas describes her experiences and exasperations at trying to do a challenging job in an environment patently unsuited to twenty-first century politics. She is essentially an outsider in an exclusive club which allows her a unique viewpoint, and I enjoyed her easily accessible writing style and frequent humour. Did you know that new MPs often have to wait up to two weeks before being allocated an office after each election because of petty bickering about who is 'entitled' to the 'best' space? In the meantime they are camped out in corridors and cafes. I was horrified to think that my MP might be discussing sensitive constituent information in such circumstances! On a personal level Lucas explains the root of her political beliefs and demonstrates how, as an MP, she continuously fights to get basic messages of change and fairness heard and acted upon. She talks about the NHS, campaigning against Page 3 sexism, fracking and her arrest during a protest. 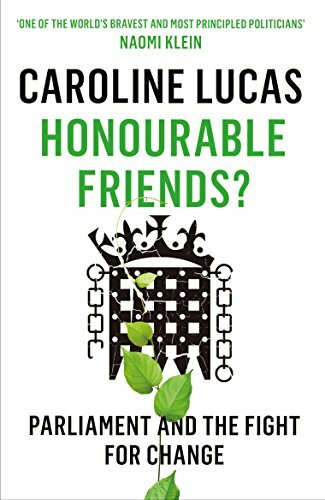 However, as much as I admire Caroline Lucas and her adherence to her strong principles, the most memorable episodes of Honourable Friends? for me were the examples of ludicrous political practice and the continued refusal of Westminster to modernise. Why do MPs still run to a lobby when they could more efficiently vote electronically? Why are MPs with particular expertise excluded from committees where their knowledge could add real value to discussions? Why is it still considered acceptable to waste House time filibustering instead of actually debating? 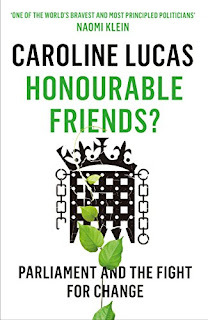 In my opinion Britain needs lots more principled MPs like Lucas who will fight archaic methods and her words in this memoir enthused me to continue and redouble my efforts supporting the Green Party. First self-published in America in April 2011. Audiobook edition narrated by James C Lewis published by Acorn Book Services in December 2016. 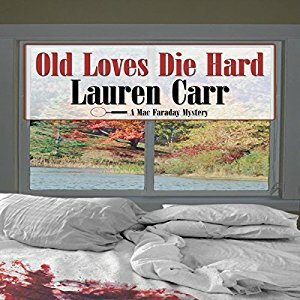 In Old Loves Die Hard, Lauren Carr continues the rags-to-riches story of Mac Faraday, an underpaid homicide detective who inherits 270 million dollars and an estate on Deep Creek Lake, Maryland, from his birth mother on the day his divorce becomes final. 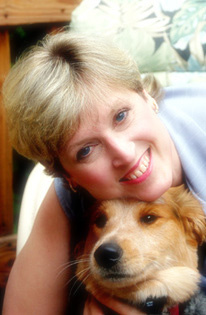 Mac is settling nicely into his new life at Spencer Manor when his ex-wife Christine shows up-and she wants him back! 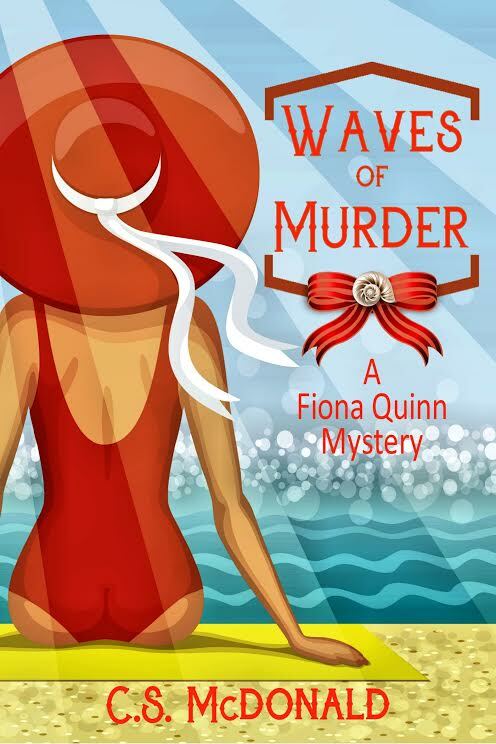 Before Mac can send her packing, Christine and her estranged lover are murdered in Mac's private penthouse suite at the Spencer Inn, the five-star resort built by his ancestors. The investigation leads to the discovery of cases files for some of Mac's murder cases in the room of the man responsible for destroying his marriage. Why would his ex-wife's lover come to Spencer to dig into Mac's old cases? With the help of his new friends on Deep Creek Lake, Mac must use all of his detective skills to clear his name and the Spencer Inn's reputation, before its five-stars - and more bodies - start dropping! Self-published in America on the 15th May 2017. Brendan has always been fascinated by the low-budget horror films of Bud Preston. Imagine his surprise when he moves to a new town and discovers a high school classmate is the daughter of his favorite director. Melissa Preston’s home contains exciting secrets about such strange films as THE STONE STAIRWAY and THE DUNGEON OF COUNT VERLOCK. But Brendan’s film-fan obsessions threaten to undermine his new friendship...before he can truly understand what it means to spend LIFE IN A HAUNTED HOUSE. 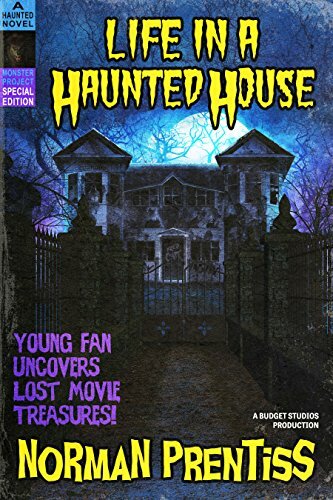 Life In A Haunted House has a fabulous schlock horror cover which manages to both perfectly illustrate the novel inside and to imply something completely different to the actual story. I'll try to explain that contradiction! Our young protagonist, Brendan, is so much a fan as to be obsessed with the b-movie horror films of director Bud Preston and I love that this book cover looks just like one of those film posters. However the Life In A Haunted House storyline is a multi-layered coming of age tale, far more sophisticated and deep than the artwork would suggest. Brendan is the perpetual school new boy and misfit. His chance encounter with equally isolated 'weird girl' Melissa looks as though it will allow both children to actually experience friendship, bonding over the discovery that Melissa's house was where Bud Preston shot all his films. However first Brendan needs to learn that using someone to further your own obsession isn't the same as being their friend, however tempting the immediate acquisitions might be. Prentiss has written a sympathetic and utterly convincing portrayal of the intersection of these two lives and I found it easy to believe in both Brendan and Melissa. Their interactions with parents and other children provide a strong framework and, if I were a horror film fan, I suspect I would have recognised many of the scenes and settings, at least by type. Life In A Haunted House does have a strong horror streak depicted mainly through scenes that border on reality. I can imagine this novel having wide appeal and being recommended by word-of-mouth to horror fans and enthusiasts of quirky cult fiction. Self-published in America in 2017. In an Appalachian valley, a young German couple has just buried their second stillborn, their dreams of raising a family in America gone, when a monster is sighted on their land. An investigation turns into a rescue, and their lives are changed forever, as they discover that reality is stranger than they had ever imagined... and that sometimes we find our heart’s desire where we never thought to look for it. I enjoyed this mostly gentle tale of an immigrant couple in 1890s America. We don't learn much about their daily life, but the relationship between Hans and Ava is endearingly tender and convincing. The supernatural story element is also well done, nicely underplayed and believable in the context of Webb's world. Having finished Finding Christopher, I was disappointed that the book only consists of around forty pages. The title implies that it is the first of a series, but for me this felt more like reading a prologue, albeit one that, as yet, does not have a novel following on. I thought it would be more satisfying as the beginning of a longer work as I was nicely into the flow of the prose as our story ended! Published in the UK by Discovery Walking Guides in January 2016. Kate and Alan Hobbs have reviewed and refreshed their Walk! 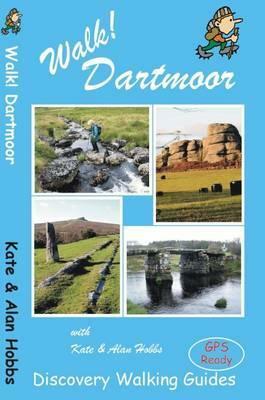 Dartmoor classic guide book for its new 2016 edition. 40 fully detailed walking routes with OS maps and gps waypoints for you to enjoy adventuring on Dartmoor. Walk! Dartmoor with Kate and Alan Hobbs covers walks of varying length across Dartmoor - from the dramatic high moors, gentle riversides, idyllic country lanes, unspoilt villages, to sites of ancient archaeology and former industries, and all with spectacular views. This user friendly illustrated guide has a summary of walking routes and is rated by time, effort, distance and hills, as well as the availability of refreshments en route and the vertigo risk. Each walk is described in full and there are timings listed in the book to help with navigation and progress. Walk! Dartmoor contains a 1:40,000 scale Ordnance Survey map for each route. Hopefully as this post publishes itself Dave and I will be making good use of our copy of Walk! Dartmoor. We bought it last summer and have already done one of the walks (Number 18: Lustleigh and Becky Falls). This weekend we are camping around Buckfastleigh way so will get to see a different part of Dartmoor by following a couple of the suggested Walk! Dartmoor walks. I like that the book has clear instructions in both text and Ordnance Survey map sections. It also includes good information about walk lengths, ascents and descents, and difficulty ratings so we can be confident that we will indeed be able to finish our chosen walk. Interesting sights and sites en route are highlighted too so we don't miss out on appreciating the significance of what (to a non-book-carrying visitor) might just appear to be a pile of stones! Bought on a whim, this book has certainly justified its purchase and I would happily recommend it to any other walkers planning to visit Dartmoor. First published in America by Kindle Press in June 2016. 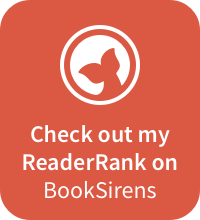 Horror author Norman Prentiss first came to my attention when I got a copy of his wonderfully dark and surreal novel Odd Adventures With Your Other Father (my review here) via KindleScout. I've got a copy of his brand new novel, Life In A Haunted House to read and review soon. Emily can't escape her annoyingly Talented telekinetic healer sister without committing a crime. Kelly must escape her pyrokinesis school and bring Emily's sister to Boston - her mother's life depends on it. 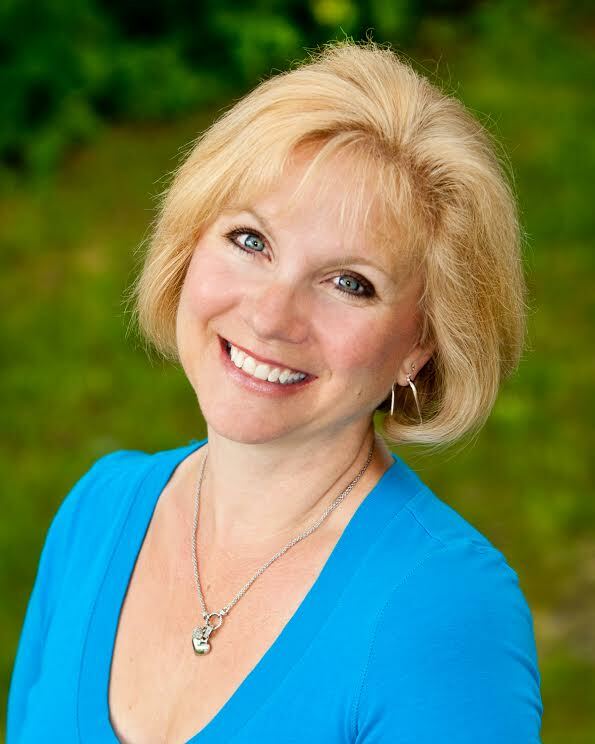 Appointments with Emily might drive her psychic therapist insane. Norman says: I decided to discover a new author and the book I chose is Awash In Talent by Jessica Knauss, which shares some of the fantasy elements I explore in my own Odd Adventures With Your Other Father. 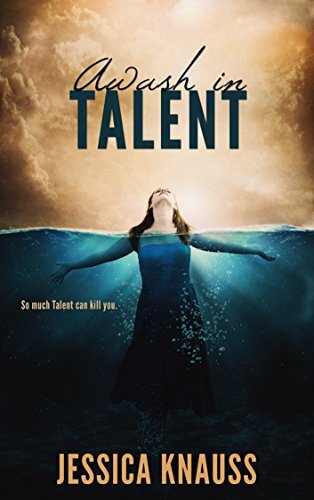 Jessica’s book is a smart and original fantasy about people with special powers (telekinesis, healing, firestarting, mind-reading). I especially admired the novel’s unique structure, presented as a series of three interlocking novellas. One of the joys of the book was finding connections between the different parts, as the narrator of a new section crosses paths with the previous speaker–the technique keeps readers on their toes as they work to recognize the subtle threads. It’s all done very cleverly, and the final novella ties things together nicely. Published in the UK by Inspired Quill today, the 25th May 2017. He never intended to be a jailer … After years of travelling, responsible to no-one but himself, Steve has resolved to settle down. He gets a job, buys a house and persuades Liesel to move in with him. Life’s perfect, until Liesel delivers her ultimatum: if he won’t agree to start a family, she’ll have to leave. He can’t bear to lose her, but how can he face the prospect of fatherhood when he has no idea what being a father means? If he could somehow make her stay, he wouldn’t have to choose … and it would be a shame not to make use of the cellar. Will this be the solution to his problems, or the catalyst for his own unravelling? 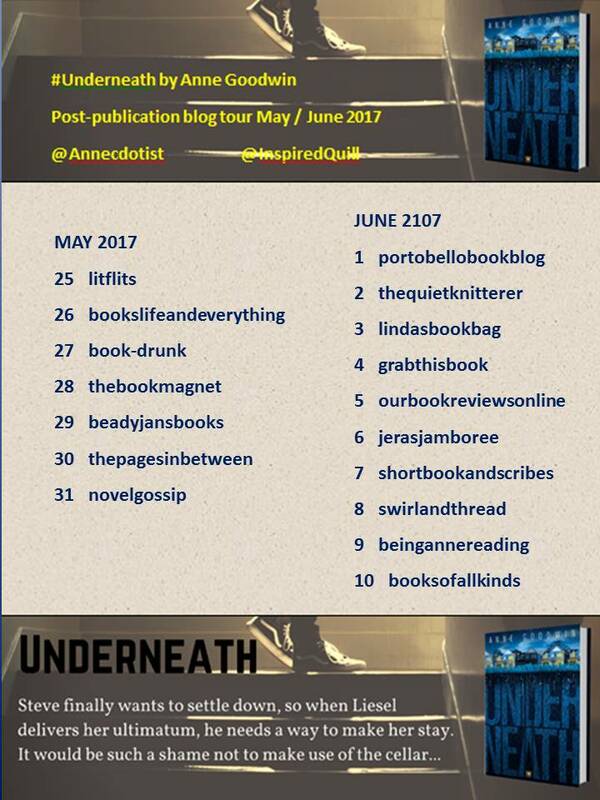 I enjoyed Anne Goodwin's first novel, Sugar And Snails (my review here) so was delighted to given the opportunity to read Underneath, her second, and am especially honoured to be kicking off this blog tour to publicise its launch. You can see all the other stops on the tour at the end of this post. 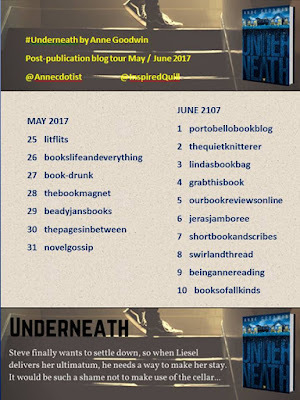 Plus, if you find yourself in Nottingham on the 10th of June, the Underneath Launch Party is being held at Nottingham Writers' Studio. 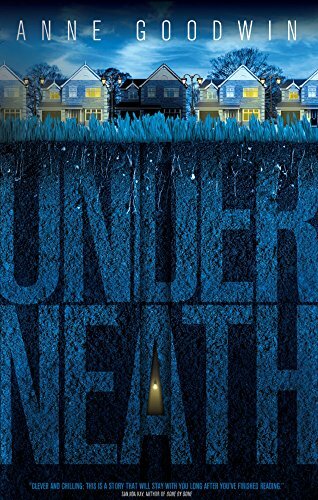 Underneath is a psychological thriller that goes to some pretty dark places and I loved the sense of foreboding that builds up. 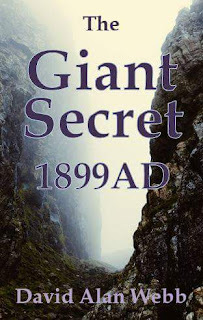 We know from the very beginning that Steve will end up using his cellar as a kind of jail and the journey leading him to do so kept me enthralled. I liked the depiction of his burgeoning relationship with Liesel who is a great character and, even though the story is told from Steve's perspective, I felt I ended up knowing her even better than him. The flashbacks to Steve childhood add depth and helped me to understand his later actions. Goodwin does a good job of presenting a child's understanding the world as he sees it and of his interpretation of traumatic events. These vintage scenes particularly appealed to my imagination. I also enjoyed the family dynamic, dysfunctional as it was, but with, I think, universally recognisable sibling rivalries and allegiances. 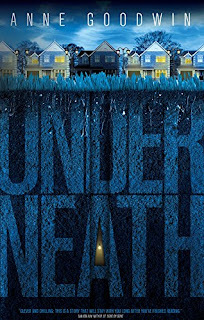 Underneath is a slow burn so might not appeal to readers who prefer an action thriller, but I really liked the detailed and thoughtful approach. Goodwin takes her time in revealing Steve's truth and, for me, this worked well. Believed written and first performed in England around 1598. BBC Radio Shakespeare audiobook production published in 2001. BBC Radio has a unique heritage when it comes to Shakespeare. Since 1923, when the newly formed company broadcast its first full-length play, generations of actors and producers have honed and perfected the craft of making Shakespeare to be heard. In Much Ado, the clarity of radio allows the wonderful verbal sparring between Beatrice and Benedick to sparkle as high comedy and melodrama mix magically in a combination of prose and verse. Revitalised, original, and comprehensive, this is Shakespeare for the new millennium. As a result of my Othello and New Boy reviews, I was contacted by author Hollie Moat with an offer of a review copy of her novel, Other People's Business, based upon Much Ado About Nothing. Of course, I was glad to use this as an opportunity to revisit my BBC audiobook of the original play as a memory refresher! 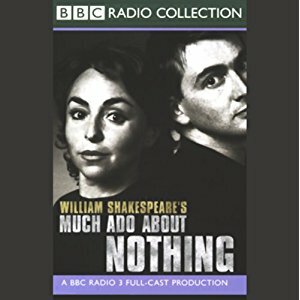 A talented cast that includes David Tennant, Samantha Spiro, Chiwetel Ejiofor, Emilia Fox, Julian Rhind-Tutt, David Haig and Maxine Peake bring Much Ado About Nothing vibrantly to life in this BBC Radio audiobook. The cast are obviously having great fun and their enjoyment comes across particularly in the wickedly sharp verbal sparring scenes between Beatrice and Benedick, when each is hiding to eavesdrop, and when the Constable is mangling his word choices. The play itself is entertaining although the plot gets quite silly in the latter stages! Not knowing the play thoroughly, I couldn't always immediately tell exactly who was speaking, but this didn't affect my understanding of the narrative as character identifies became clear as each scene progressed. Perhaps pure audio isn't quite as satisfying as seeing Shakespeare performed on stage, but I felt the format allowed me to concentrate more on the words spoken and to appreciate the Bard's wonderful turns of phrase. Individual stories written in Spanish from the 1950s to the 1970s. Published in this collection in America by Archipelago Books today, the 23rd May 2017. English language translation by Martina Broner. 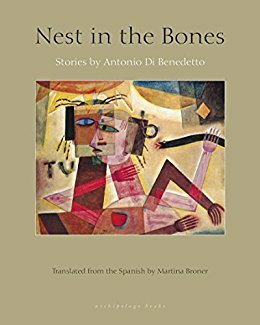 Philosophically engaged and darkly moving, the twenty stories in Nest in the Bones span three decades from Antonio di Benedetto's wildly various career. From his youth in Argentina to his exile in Spain after enduring imprisonment and torture under the military dictatorship during the so-called "dirty war" to his return in the 1980s, Benedetto's kinetic stories move effortlessly between genres, examining civilization's subtle but violent imprint on human consciousness. A late-twentieth century master of the short form and revered by his contemporaries, Nest in the Bones is the first comprehensive volume of Benedetto's stories available in English. Generally I find I have quite an affinity to South American fiction because I love its mystical elements. In Nest In The Bones however I was frequently completely baffled as to what was going on. I love Di Benedetto's prose. He employs beautiful metaphors and turns of phrase which bring particularly the Argentine scenes vividly to life. My problem though was that a significant proportion of the twenty short stories in this collection felt like middles of stories rather than the full tale. I appreciated the scene as I was reading, but on finishing had no real idea of the point of what I had read! The selected stories are representative of Di Benedetto's work over three decades and I did find those later in the book much easier than the earliest examples. I don't know if that is due to differences in his writing or that I was getting more accustomed to the style. All in all, this was an interesting collection and I enjoyed the insights into Argentine and Spanish life, but I didn't think I got as much from reading the book as I had hoped to. Self published in February 2016. 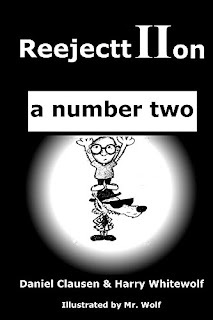 'By reading ReejecttIIon, it’s likely you’ll discover: colorful short stories, funny flash fiction, hilarious cartoons, riveting reviews, wondrous anagrams and other assorted skits and titbits of under-achieving literary genius. Daniel Clausen's second ReejecttIIon compilation was written in a transatlantic collaboration with Harry Whitewolf resulting in an even more eclectic mix of work than its predecessor. The two books are connected in title, but otherwise are essentially separate. You could happily read the second without having read the first and, indeed, that might even help! ReejecttIIon - a Number Two includes short stories, book reviews and cartoons that are inventive, funny and thought-provoking although I admit I did find their appeal rather hit and miss. The hits for me ranged from the social media satire I've Never Heard The Like to science fiction Show And Tell. I loved the creepy atmosphere of Your Relationship With Edward Grey and the B-movie inspired Science Fiction Theater Presents. Fred's Dreads is a fun idea and I wondered how much of this story might have been autobiographical. 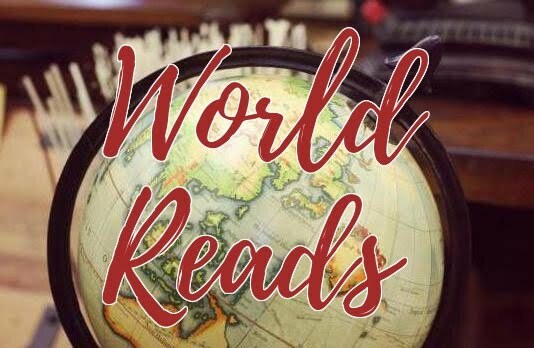 For me, the most timely stories considering the current General Election campaigning are The New World and especially Word Tax, both of which I think everyone should be forced to read before they are allowed into a voting booth! First published in the UK by The Women's Press in March 1985. When her lover leaves her, Polly, with some trepidation, advertises two vacant rooms in her house. The two women who move in seem sympathetic: bus conductor Kim, and awkward, gangling Sadie, a wanderer haunted by memories of her African childhood. But in spite of their shared experience as lesbians, differences begin to emerge. Fortunately the household is watched over by the Liberty Boddesses of Hortus, prepared to risk divine censure if they can help straighten things out. I loved the humour in this Irish story of friendship set in 1980s London. The Liberty Boddesses are great fun and their scenes are reminiscent of the way ancient Greek gods and goddesses would influence the lives of mortals on earth. 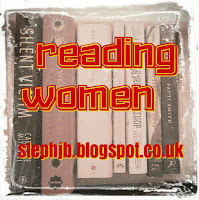 The central story is that of Polly, Kim and Sadie who find themselves sharing a house. That the trio are lesbians is an important aspect of the book, but I liked that Livia doesn't only define their lives by their sexuality. Instead Accommodation Offered explores themes of race, gender and mental health. It is a multi-layered novel which can just be read lightly as a humorous story of friendship, albeit one with dark edges. Or it can be more deeply thought-provoking asking questions about the assumption of a white-male-dominated society. Livia writes vibrantly of ordinary 1980s London describing squats and condemned houses, buses that still had conductors and streets that were still communities. Most of all though, this is a novel of women coming to terms with their present situations and their pasts, and discovering how not to lose all hope. First published in America by Morgan James Publishing in July 2016. Under the totalitarian reign of the 23rd century’s world government, the Sovereign Regime, control is made possible by the identity chip implanted in every human being, recording everything that is seen, done, and experienced. No more bank accounts. No more smart phones. No more secrets. When Goro inadvertently overhears an exchange of sensitive information, causing him to confront the truth about his world and prompting him to choose his true loyalties, his dream of revolution kicks into high gear. Goro doesn’t know he has covert intel in his possession both the SR and the resistance movement are desperate to acquire. Determined to bring down the world government, he and his closest friends gain access to the key to ultimately deciding who has sovereignty. But who will get to Goro first: the resistance or the Sovereign Regime? Sovereignty is set in a 23rd Century city that used to be Los Angeles and is now the place from where a dictatorial leader named Davio controls all the people left on the planet. Hughes mentions a global war that more than halved the present-day population levels and Goro's society consists of the second and third generations since that genocide. Much has changed socially and perhaps the most different aspect of life is a small computer chip in everyone's wrist, similar to the way dogs are microchipped now, but with these futuristic chips having a far larger capacity to track and record their wearer's actions and behaviour. We learn that some people are resistant to the idea of the chips and others are inured and I would have been interested to learn more about the psychological effects of living under such a degree of observation. Our main protagonist, Goro, is an immature and incredibly self-centered young man who comes of age during the course of the novel. I admit I did struggle with the book primarily because of his abrasive attitudes to everyone around him. He spends most of his time either shouting or sulking and is always convinced of his own righteousness despite all evidence to the contrary! It's a wonder Goro keeps any friends at all, but fortunately for him the ones he does have turn out to be fiercely loyal. 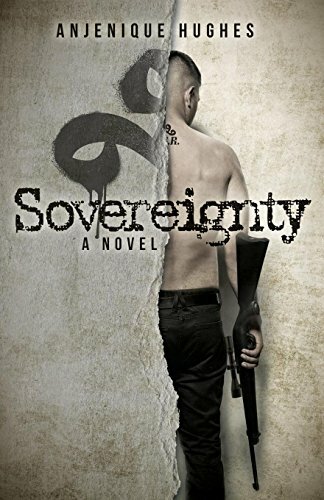 Sovereignty is militaristic science fiction with an emphasis on the training undergone by the recruits in the expectation of their world-changing battle to come. Hughes describes their underground accomodation and life in detail so we get a good idea of what it will take to overcome the despised Regime. The novel is told mostly from Goro's first-person perspective with brief chapters glimpsing other aspects Hughes' imagined world. I could imagine the story translating easily to a movie version and there were nods to similarly genred films which are fun to spot. The story had too much machismo and posturing for my tastes, but if you enjoy reading military action stories then give Sovereignty a try. To celebrate the Sovereignty Tour, iRead Book Tours are hosting a giveaway where six winners will win either a copy of the book or a $20 gift card. Sorry - this giveaway is US only. First self-published in the UK on the 26th January 2014. Republished by Bloodhound Books in May 2017. 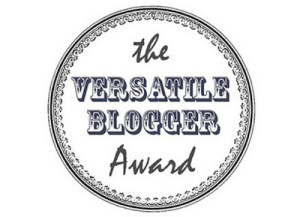 Tin Larrick is one of my favourite indie crime writers and you can read my reviews of his books here. Take James Ellroy, Colin Bateman, Graham Hurley, Joseph Wambaugh, Michael Connelly and Ed McBain, chuck them in a blender, add vodka, tomato juice and some neon twists and you will find yourself through the looking-glass with former cop and Sussex maniac Tin Larrick. Authentic police procedurals, dark and snaky plots, seaside noir, troubled-but-colourful cast members and a medium-rare underbelly, Larrick's stories stay rooted in the mind long after closing time. I am eagerly looking forward to Tin's new novel, Blues With Ice, which is due out mid-July. “David Booker returns to Romney Marsh on the south coast of England for a holiday. He is expecting to spend time helping his aunt and uncle pack up the stock of their second-hand bookshop in preparation for a happy retirement. He arrives in Dymchurch on a miserable April night to find his relatives missing without word or clue regarding their whereabouts. As events unravel, the outlook of the local police pushes Booker to search for his own answers to the questions surrounding his family’s disappearance. To unravel the mystery he will have to put himself in danger. Will Booker find the answers he needs and make it out alive? 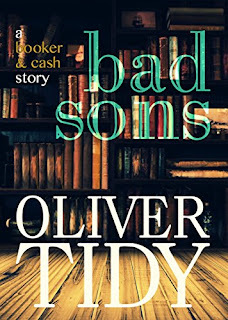 Tin says: BAD SONS represents the first in a third distinct series by the getting-to-be-prolific Oliver Tidy, and is another corker of a story. 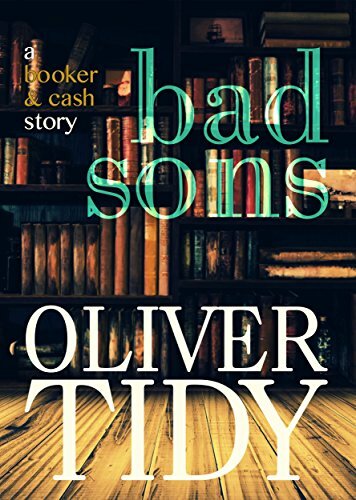 The first in the Booker & Cash series sees Mr Tidy taking yet another new direction in the crime genre, this time down the oft-trodden path of private investigation. This is not a world of dingy offices, reluctant trilby-clad gumshoes and chocolate-flavoured birds of prey, however. Chief protagonist David Booker arrives home in Dymchurch to help his aunt and uncle close up their bookstore business - only to find said relatives have vanished. Booker, motivated by the need for answers he can't get from a slipshod police investigation, goes out on his own. The story snowballs from there, with buried secrets, curmudgeonly-and-possibly-crooked police inspectors and high-tide homicides aplenty. The story itself is tight, pacy and packed with suspense. It follows a fairly linear structure - no red herrings or deus ex machina here - but the perhaps-expected last minute moustache-twirling twist of lemon is jettisoned in favour of the titular theme, and the end result is far more effective. There are several elements that make this book stand out. First of all, the character of David Booker. 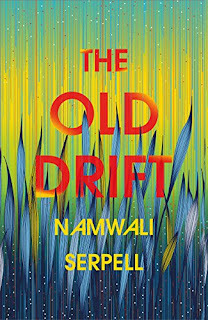 Leaving a life of chaotic loose ends behind in Istanbul, he arrives in Kent in something of a fug of displacement. This is compounded when he finds the temporary rug he was hoping his aunt and uncle might provide has been pulled out from under him before he has even arrived. Thus, when we meet him, his equilibrium is already at zero, and rushes quickly into breathless negative numbers. This creates a strange, almost surreal instability about him, like returning home with extreme jetlag, or what it might feel like to come home after a long stretch inside. We never quite find out what normality looks like for him, and we are with him as he seeks answers in the name of justice. Secondly, the `Booker & Cash story' subtitle on the cover brought to mind half-formed notions of partnerships akin to Holmes/Watson, Tubbs/Crockett, Kenzie/Gennaro or (possibly) the Lone Ranger and Tonto. So when one discovers that Cash is a cop while Booker is a victim/witness/suspect/reluctant private investigator, it injects a romantic/sexual tension that positively simmers throughout. On the back of this is Cash herself, who is well-drawn and intriguing but whose motives and ambitions remain nicely ambiguous. Finally, the physical setting. If you've ever been to Dymchurch, Hythe, Dungeness and the wider expanses of Romney Marsh, then you'll recognise the atmospheric bleakness as painted by the author. If you haven't, then this is as good a place to start as any before deciding if you want to visit. Couple that with the real sense of history and local knowledge in the book and you have a real depth to the setting that complements the story nicely. BAD SONS is a gem. It has believable characters whose strengths and weaknesses are - sometimes reluctantly - brought to the surface when Fate lays events and obstacles before them; it has an intelligent and well-crafted story that excites without being sensational or gimmicky; it has an atmosphere you can almost taste and the title itself is weaved cleverly throughout as an undercurrent that gives the work a real depth. The future of the Booker & Cash partnership is wide open, and I am really looking forward to their next outing in whatever form it takes. First published in the UK by Chatto and Windus in February 2013. When retired actor Buffy decides to up sticks from London and move to rural Wales, he has no idea what he is letting himself in for. In possession of a run-down B&B that leans more towards the shabby than the chic and is miles from nowhere, he realises he needs to fill the beds – and fast. Enter a motley collection of guests: Harold, whose wife has run off with a younger woman; Amy, who’s been unexpectedly dumped by her (not-so) weedy boyfriend and Andy, the hypochondriac postman whose girlfriend is much too much for him to handle. But under Buffy’s watchful eye, this disparate group of strangers find they have more in common than perhaps they first thought. 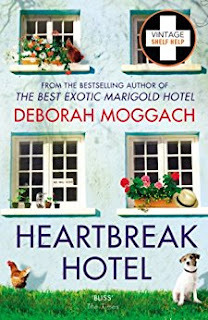 I enjoyed the start of Heartbreak Hotel. The vignettes of the various characters are well-observed and full of life. However, once the novel actually got into the eponymous hotel, I thought the storyline lost its sharpness becoming too fluffy and cute. Some people find their true selves, some rebound into immediately fulfilling relationships, Londoners slot comfortably into Welsh village life as if they were born to it and family turns out to be the most important thing after all. An entertaining but very light holiday read! 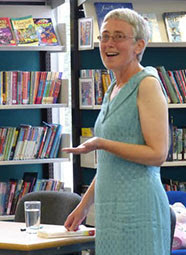 First published in the UK by Atlantic Books in 2009. 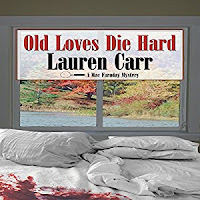 Audiobook edition narrated by Lyndam Gregory published by Audible Studios in 2010. Twenty years ago, the image of burning copies of Salman Rushdie's The Satanic Verses held aloft by thousand-strong mobs of protestors became an internationally familiar symbol of anger and offence. Kenan Malik examines how the Rushdie affair transformed the debate worldwide on multiculturalism, tolerance, and free speech, helped fuel the rise of radical Islam and pointed the way to the horrors of 9/11 and 7/7. This is a well-researched, intelligent history of the changing attitudes to race and religion in the UK and the wider world over the sixty years from 1950 until 2010. Malik clearly describes the series of events, explains their links and significance, and quotes a variety of sources and interviews enabling the listener to understand the many relevant viewpoints. I liked that he maintains a balanced approach to the information given, avoiding the obvious traps of such an emotive subject. 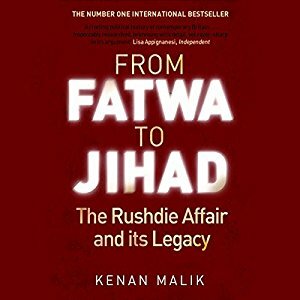 Although the book is complicated, Malik presents his case clearly and this is not some dry history of names and dates, but an engaging tale to which I enjoyed listening. So enjoyed, in fact, that I now have a shortlist of other quoted books and authors to search out in order to learn more about this aspect of British history. My only criticism would be that the narrator, while he did a good job of the many voices and accents, did occasionally stumble over phrases and perhaps could have been allowed to re-record these passages? First unofficially published in Vietnamese as Thân phận của tình yêu by Hội nhà văn in 1990. English language translation by Phan Thanh Hao and Frank Palmos published in the UK by Secker and Warburg in 1994. Kien’s job is to search the Jungle of Screaming Souls for corpses. He knows the area well – this was where, in the dry season of 1969, his battalion was obliterated by American napalm and helicopter gunfire. Kien was one of only ten survivors. This book is his attempt to understand the eleven years of his life he gave to a senseless war. 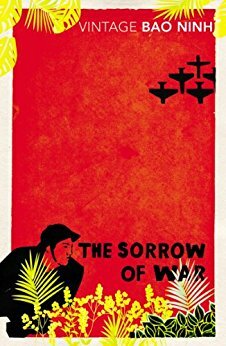 Based on true experiences of Bao Ninh and banned by the communist party, this novel is revered as the ‘All Quiet on the Western Front for our era’. This novel of the Vietnam War is interesting for its graphic depictions of the war as it really was for the North Vietnamese soldiers, a civil war between North and South with the Americans an anonymous mass threatening from a distance but rarely the focus. Ninh's writing leaps around in time without any attempt to coherently link events for the reader which gives a fantastic insight into the mind of a soldier destroyed by war, but also makes this a difficult book to understand. Perhaps that is its point. The love story between Kien and Phuong, both little more than children at the war's outbreak, is movingly tender when set against so much violence and their loss of innocence could just as well apply to the whole country that was ripped apart by over a decade of conflict. 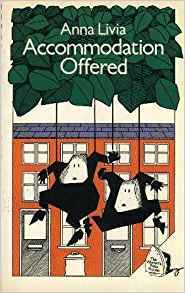 First published in the UK by Serious Productions in 1979. Audiobook edition narrated by Stephen Fry published by Random House in 2005. I absolutely loved the Hitchhiker's series as a young teenager so was curious to discover how I would feel listening to it again now nearly thirty years (eeek!) later. One of the AudioSYNC downloads last week was the Stephen Fry narrated version. He does an excellent job, obviously enjoyed the novel as he reads it and managing to include a few aural nods to the original radio series. I wasn't prepared for how much of the book I still had memorised so apologies to anyone alarmed by the 'crazy' headphoned woman apparently muttering to herself, 'It must be a Thursday, said Arthur, I never could get the hang of Thursdays.' 'Life? Don't talk to me about Life!'. Marvin is still, for me, the complete star of the show, but the other characters are excellently portrayed too and Adams' dry wit carries the story with a humour that is perfectly suited to my own. I hadn't remembered the story having so much politics in it. Admittedly it's disguised well, but prescient ideas such as the new President of the Galaxy, Zaphod Beeblebrox, having got the job for his ability to deflect attention from the real power-holders rang pretty true. The electronic book form of The Guide predated ebooks and ereaders by decades too. 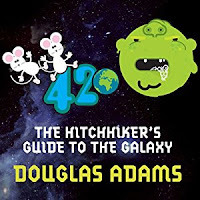 Despite my glorious wave of nostalgia, The Hitchhiker's Guide To The Galaxy didn't quite get the full five star rating. There are pacing issues and a couple of plot holes large enough to fly a Vogon constructor fleet through. Some story elements haven't dated well either. The 'small green pieces of paper' will probably still make sense to American readers, but became obsolete in the UK shortly after my first reading of the novel back in the 1980s. That said, where Hitchhiker's 'scores over more pedestrian' science fiction is that it is simply tremendous fun. I could feel Adams' ideas almost clambering over each other to be written down and he had me giggling most of the time. 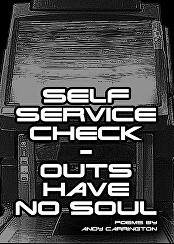 There's a real sense of melancholy about Andy Carrington's newest poetry collection, Self Service Check-outs Have No Soul. The visceral anger of his earlier work is muted by nostalgia and resignation as he perhaps comes to terms with his predictions and warnings being ignored. Society instead craves ever smarter gadgets and machines seemingly oblivious that with such inventions we are slowly making ourselves redundant. I particularly liked the poems Unexpected Item In The Bagging Area for its humour, The Digital Age Killed Everything for its incisive snapshot vision, and Real Postmen because the getting of real post still, for me, is more satisfying than receiving its email equivalent. First published in the UK by Eveleigh Nash in 1914. With insight and great wit, Emmeline's autobiography chronicles the beginnings of her interest in feminism through to her militant and controversial fight for women's right to vote. While Emmeline received a good education, attending an all-girls school and being, she rebelled against conventional women's roles. At the age of fourteen a meeting of women's rights activists sparked a lifelong passion in her to fight for women's freedom and she would later claim that it was on that day she became a suffragist. As one after another of the proposed feminist bills were defeated in parliament, Pankhurst was inspired to turn to extreme actions. While she was the figurehead of the suffragette movement, it advocated some controversial tactics such as arson, violent protest and hunger strikes. Even today there is still debate about the effectiveness of her extreme strategies, but her work is recognised as a crucial element in achieving women's suffrage in Britain. Her mantle was taken up by her daughters and granddaughter with her legacy still very much alive today. I saw the Carey Mulligan film, Suffragette, which includes story elements based on this memoir so I already had an idea of the treachery of the Edwardian era Liberal Government in addressing women's suffrage and of the state-sanctioned torture meted out to the women who fought for their - and consequently our - political rights. What the film struggles to put across though is the decades of peaceful and legal struggle that pre-dated the famous militancy of the immediate pre-war years. Explanations of that and why it was always doomed to fail forms the greatest part of Pankhurst's memoir. Pankhurst describes her involvement in the suffrage cause from 1889 until 1914 when the outbreak of the Great War caused a truce to be called. She speaks directly to the reader in a calm matter-of-fact style which effectively contrasts with many of the horrors described. I was appalled at the condescension and open misogyny of the time. Everyday Sexism is still prevalent today, over a century later, but being faced with the ingrained attitudes experienced by Edwardian women showed me just how much has been achieved. 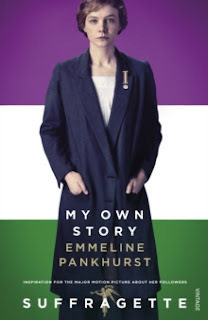 I was surprised that this memoir was written with an American audience in mind, but found this helpful as Pankhurst does not assume her readers will be completely au fait with British political systems. Instead she clearly explains arguments and quotes speeches so I could easily appreciate her anger and frustration at being deceived and lied to year after year after year. Indeed, according to Pankhurst it was Establishment men who first explained to the WSPU that they would need to become violent in order to be taken seriously. Historically in Britain men achieve great social and political advances through violent means, so women who stuck rigidly to peaceful and legal methods could not possibly be as serious! Reading Emmeline Pankhurst's memoir was saddening, but also incredibly inspirational. Her rhetoric and speeches stirred up some of the excitement in me that the original suffragettes must have felt as well as anger at realising this nation's Conservative political elite has much the same disconnection from the vast majority of Britain today as Asquith's Liberals did back then - but at least a few of them are female! My Own Story is a rallying cry to stand up for our heartfelt beliefs and remains just as relevant. Irresistible historic movements grow from tiny roots - theirs was suffrage, ours is environmental destruction - and we must use our votes wisely and at every opportunity. There's still time to Register To Vote in the General Election on June 8th. Visit http://gov.uk/register-to-vote before May 22nd. The prize is my paperback copy of My Own Story by Emmeline Pankhurst, carefully read once and with a BookCrossing label in the front. All entries must be made through the Gleam widget below. The Giveaway is open worldwide until midnight (UK time) on the 26th May and I will draw a winner on the 27th. 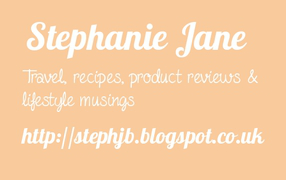 The winner must respond to my email within 7 days or the prize will be forfeit.